It’s that most glorious time of the year once more, and there’s no other way to share the love and bountiful tidings among family and friends than celebrating it with food. 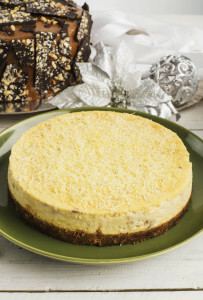 This year, gather them again for an extra festive Yuletide celebration as you bring in the holiday flavors right at your (or their) doorsteps – courtesy of Cravings. Cravings becomes a one-stop shop for your holiday parties and gift-giving needs: Starting with a special on-the-go party menu that features savory dishes, as well as Christmas-inspired baked treats, sweets, and gourmet sets for more convenient and personalized gifting options. Whether hosting a grand Christmas family dinner or attending a potluck among associates, be sure to wow the party crowd with Cravings’ to-go party dish trays. 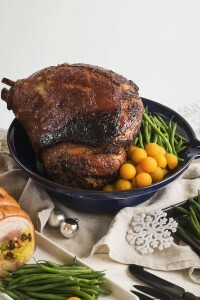 Items on the menu list include Crispy Pork Belly Roulade with Arroz Valenciana (a modern version of lechon only made better), Traditional Boneless Chicken Galantina, Christmas Home-made Glazed Ham with Pineapple, Roast Beef, Chicken Cordon Bleu and Four Cheese Lasagna. These classic Cravings dishes are indeed perfect for any celebrations as these are available in small or big portions and be pre-ordered to make it hassle-free for you. For a more decadent merry-making, spread the warmth of freshly baked sweets and boxed pastry goodies courtesy of Cravings Bakeshop. 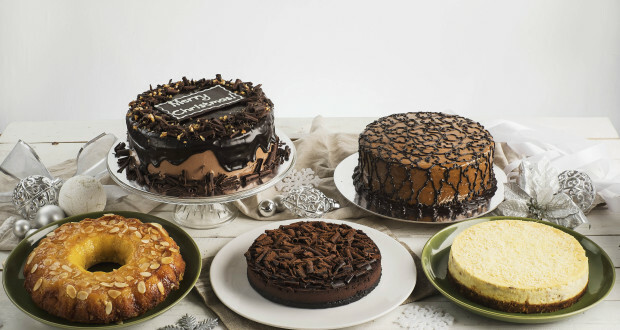 Delight sweet-tooth loved ones and chocoholics with Cravings Classic Chocolate Caramel cake, Very Chocolatey Christmas Cake, Tablea Cheesecake and Quezo de Bola Cheesecake, among others. Also, try the Shards which comes in Snickers, M&M’s, Maltesers, Twix, KitKat and Double Chocolate flavors and best enjoyed with milk! Have friends and family flip over these box-full of heavenly bites: Walnut Balls, Special Mango Bars, Calamansi Bars and Cacao Nib Brownies. There’s also White Forest Bars (with flavors of caramel, white chocolate and plump Maraschino cherries), Dark Chocolate Chunk Cookies, Food for the Gods, Revel Bars, Ube Cream Puff and Pandan Cream Puff. 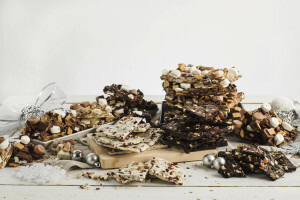 For instant gift-giving with added sweet surprise, there are chocolate barks in bags like the Smores, which is named one of the country’s best desserts. Made of pillows of vanilla and chocolate marshmallows and bathed in chocolate with crisp, honey grahams, this dreamy confection is sure to please the young and old alike. Other winsome choices are Marshmallow Pecan Barks, Christmas Barks and White Chocolate Almond Cranberry. The barks can be bought by the block and must be pre-ordered. If selecting an ideal Christmas favor for foodie friends and pasta-loving loved ones, they would greatly appreciate the Gift Hampers — special deli sets that include Pasta Sauces and Salad Dressings like Caesar, Asian and Balsamic. Or, for a more generous present that’s practical, fun and gives them the freedom to choose what they crave for, surprise them with Cravings gift certificates which are available in P500 and P1,000 denominations. Fulfill wishes and satisfy loved one’s Christmas cravings this Yuletide Season with a thoughtful and indulgent gift of flavors from Cravings special holiday offerings. For inquiries, you may call or drop by at the following Cravings outlets: Katipunan (587-9634); Fraser Place Makati (832-1491) and El Molito Bldg. in Alabang (556-0927). Visit and like its Facebook page (cravingsphilippines) and follow via Twitter (CravingsPhils) and IG (cravings.philippines).